What a brilliant painting. 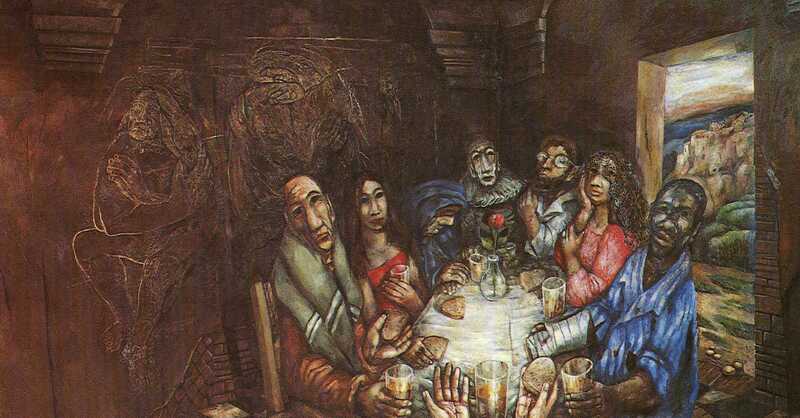 I have been considering something like this for many years, an image of the welcoming of Jesus' table. Many thanks for posting about it. I've never come across sieger koder before. Just googled and found a wealth of images. I don't think I've come across art so brilliant since I discovered Antonia Rolls years ago. Thanks for sharing it. Sorry to plug something on my blog. It's a quote from George Guiver. We are all equals at God's table.